Children are an extension of our own life and we always want their lives to be better than ours. Our interviewee is 22 years old, born in Mexico. 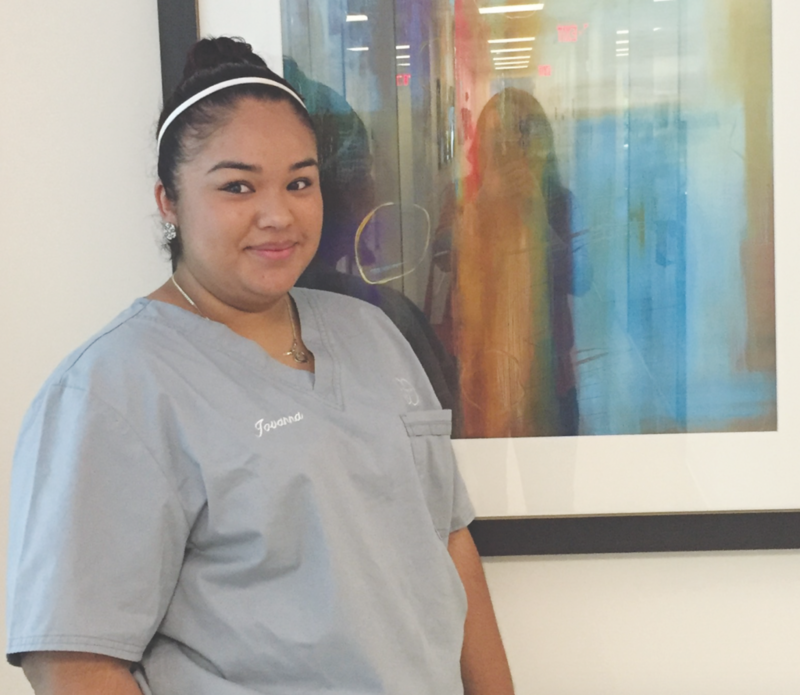 Jovanna arrived in Danbury, thanks to her parents, when she was only 8 years old. She is deeply proud of her family, her achievements and her Hispanic status. What was growing up in Danbury like? With a deep sigh, she replied, “It was not easy. We came from Mexico because my sister suffered from epilepsy and my parents felt that she could have a better life here. In just one year, I was able to learn English and become the translator for my family. My father has worked hard since our arrival up until today, mostly in restaurants. My mother is a homemaker who has had to take care of my ill sister and three brothers who were born here. Both of my parents are examples of dignity, respect and morals for me, repeating again and again that this is a great country but it is up to us to forge our own destiny. People often want everything to be easy, which is why they surrender on their first stumble. What is your greatest achievement? She smiled and then explained: “My parents have always had high expectations because I was the eldest daughter and because I needed to mature very quickly to help them. Just over a year ago, I became pregnant and, for my father, this was a big disappointment, thinking that I would not continue with my education. He did not want me to be cleaning or waitressing all my life. Although both are very commendable jobs at which I am proud to have worked, this is a country where you can study, which is not the case in Mexico. For him, I had failed in my desire to excel. So for him and for me, I decided to show him that when someone desires something with all her heart and does her best, then everything is possible. Despite my pregnancy, I did not give up my dream of studying and, even though I became ill from an infection in my cesarean-section wound, I continued to study intensively from Monday to Friday, working weekends at a hotel and a restaurant. My efforts paid off and I graduated as a medical assistant, a profession that allows me to help people. My sister was my inspiration. To complete my happiness, my son said “Mom” for the first time on the day I received my diploma. Danniella Maria Gutiérrez-Salem practiced law in Venezuela before pursuing her own American dream to become a writer in the United States. mdgutier@gmail.com.